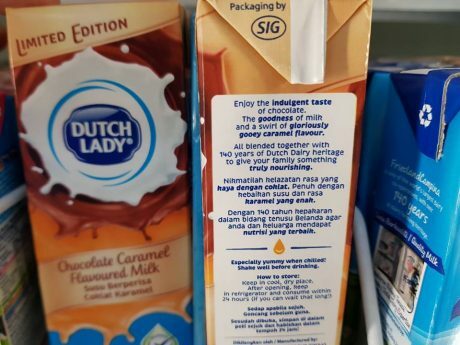 Dutch Lady Milk Industries Bhd has come up with a new limited edition flavour for its flavoured milk range – Chocolate Caramel Flavoured Milk. The total sugar is 8.2g per 100ml comprising 3.6g of sucrose and 4.6g of lactose. The per 100ml serving contains 130mg of calcium and 2.8g of protein. 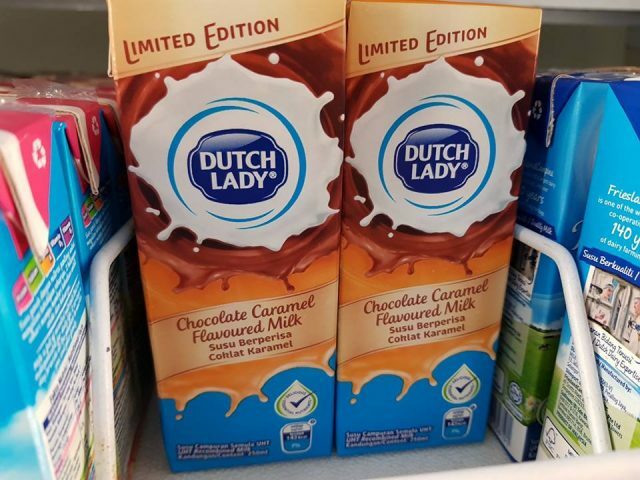 The Dutch Lady Chocolate Caramel Flavoured Milk is packed by SIG.